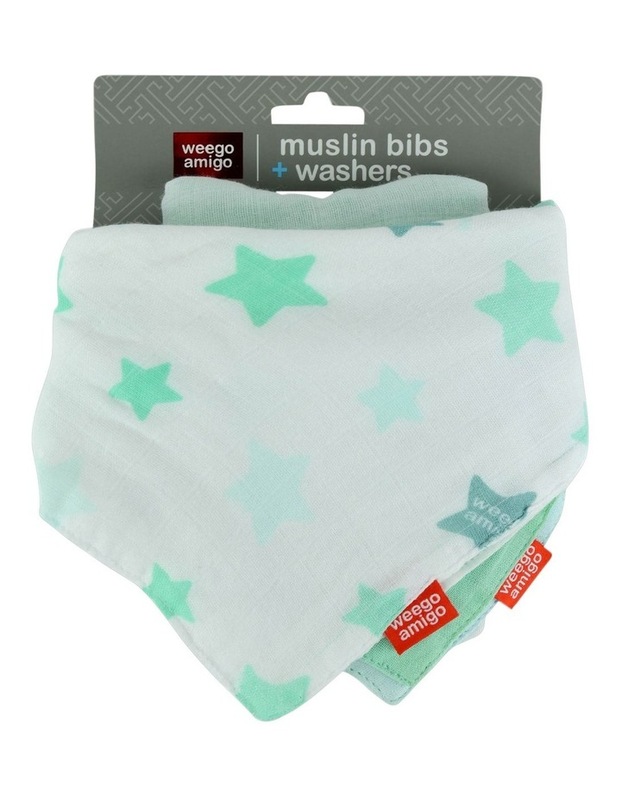 Perfectly pastel minty stars grace this washer pack from Weegoamigo. Gorgeously giftable, this multipack of matching bibs and washers is oodely useful for snacks and dribbles at home and out-and-about, and made from the softest blend of viscose from bamboo and cotton. Wash separately before use. Cold machine wash with like colours. Machine on gentle/delicate cycle. Do not rub, soak or wring. Do not bleach. Do not use fabric softeners. Line dry in shade. Part cool tumble dry, over drying damages fabric. Warm iron. Do not dry clean. Trim loose threads if they appear. Do not leave child unattended while using any bib as may pose strangulation risk. KEEP AWAY FROM FIRE. DESIGNED IN AUSTRALIA, MADE IN CHINA.